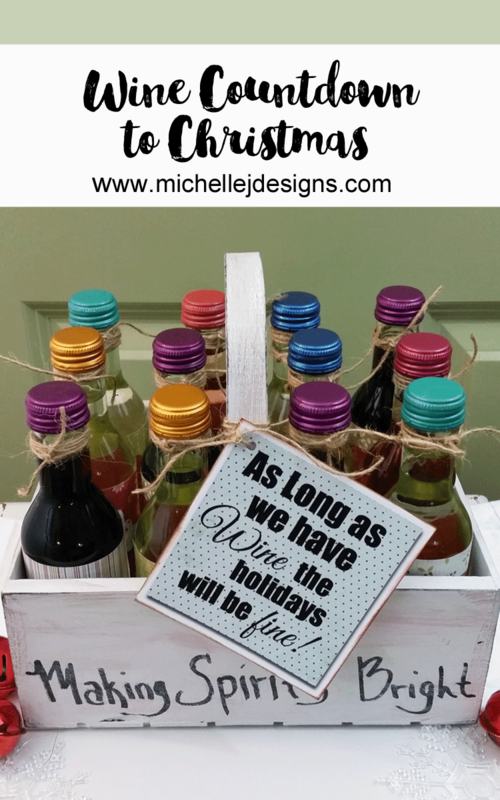 A Wine Countdown Is Sure To Make Spirits Bright! Hi. I love a good countdown to Christmas. There are such fun Advent Calendars out there. 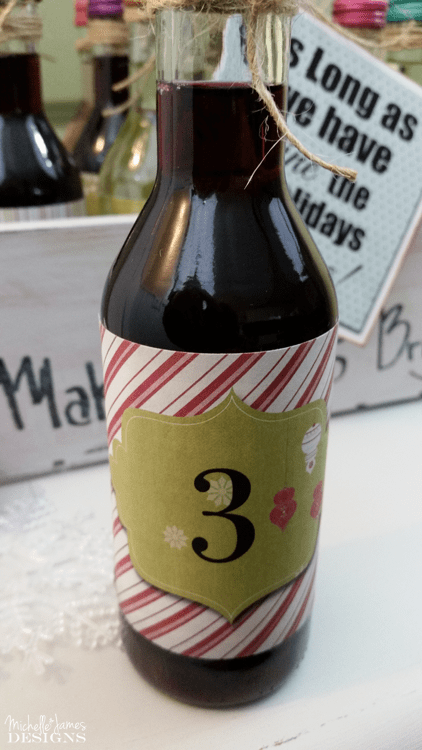 But have you ever made or received a wine countdown to Christmas? 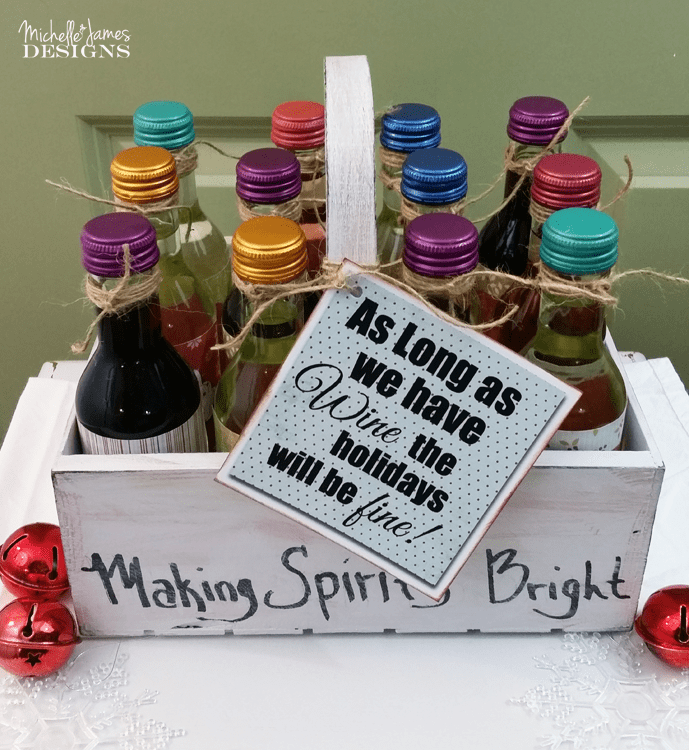 It is sure to make some spirits bright. 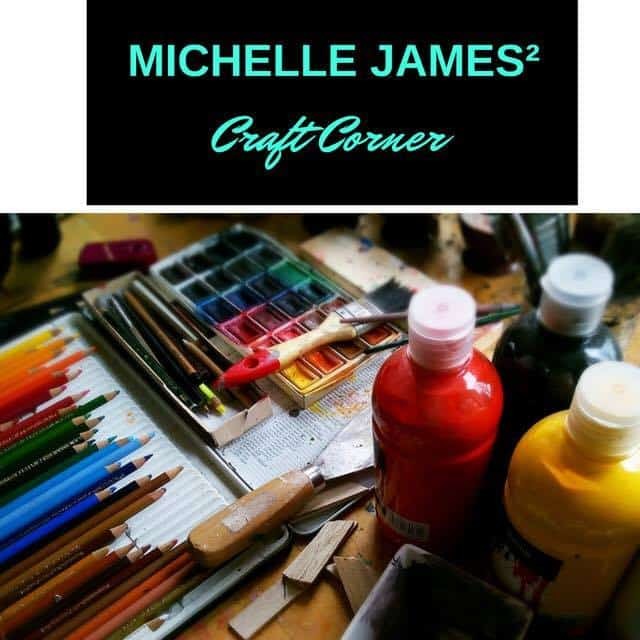 My friend Michelle James and I are back again today with our Michelle James Squared Craft Corner. 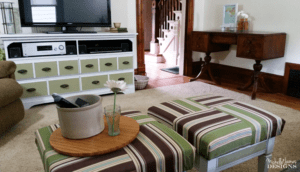 Be sure to hop over to Our Crafty Mom and see what she has made today. Here is a peek at my project. I knew I wanted to create a wine countdown this year. I had made one a few years ago and don’t know why it took me so long to make another one. The trick is finding something to package the entire thing in to give it away. 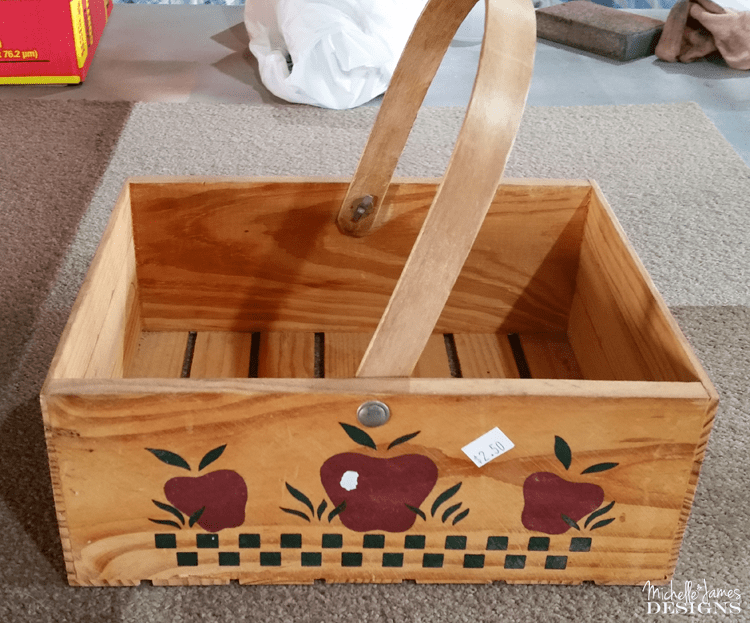 I dug around in my stash and found this wooden basket. I am not sure but I think Peggy gave this to me. Or she was with me when I bought it. Either way it was the perfect size. It just needed some help. The poor thing was stuck in 80’s with these country apples. But I knew it could be so cute. 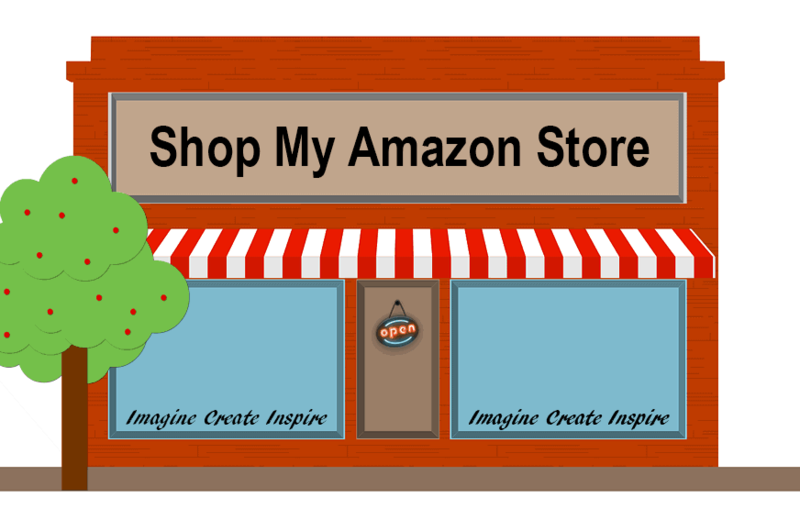 Some of the following links are affiliate links added in for your convenience. You can read my full disclosure here. The first thing I did was paint it black. I like to do this so when I distress the top coat the black shows instead of the raw wood. White went on after the black and it took coats to cover. 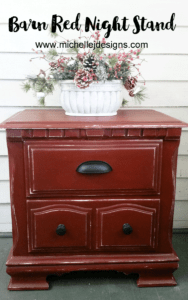 After the white I mixed up a little Barn Red and some Bayberry Green Old Fashioned Milk Paint and created some red and green dry brush marks. They got a little dark so I went back over it with more of the white. 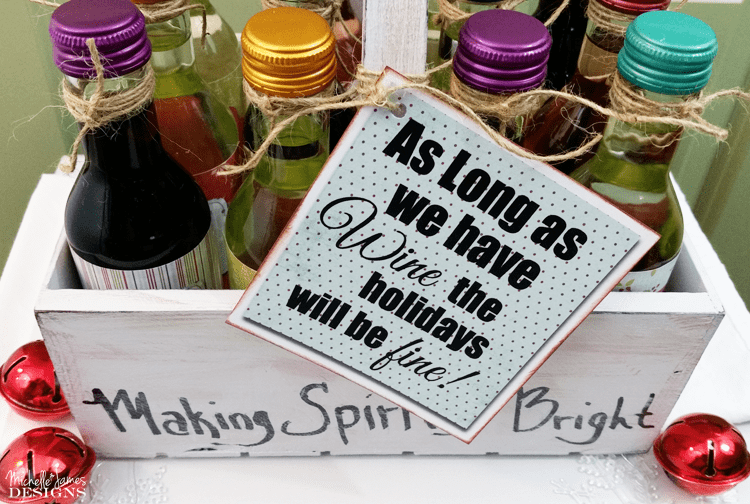 A black paint pen was used to free-hand “Making Spirits Bright” and a little white brushed on top help to tone down the bold black letters. 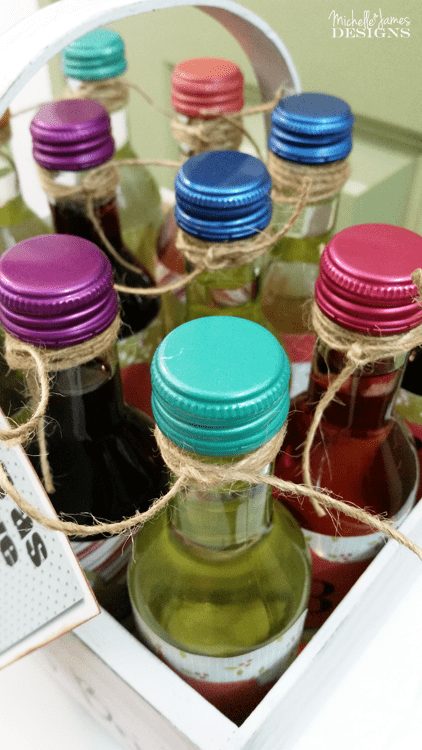 These are the individual bottles of Barefoot Wine in assorted varieties. These individual serving bottles are the best. 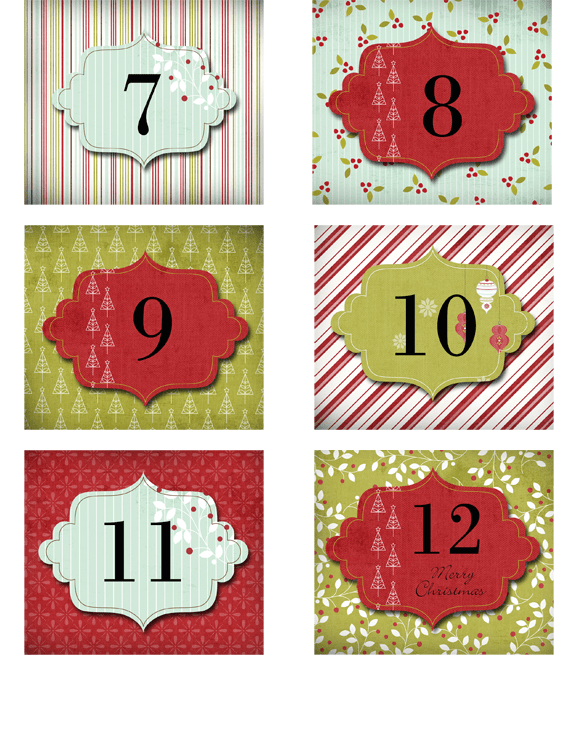 I created these labels for the first time I made I created a wine countdown and added the tag in this year. I have also provided a free download for you at the end of this post. 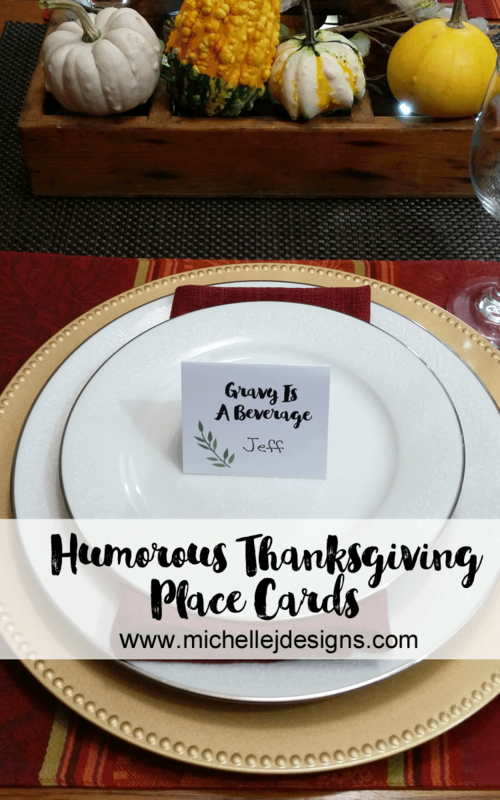 You will get the individual labels, two print pages and the tag. Below are the pages to print. Each one includes 6 labels. 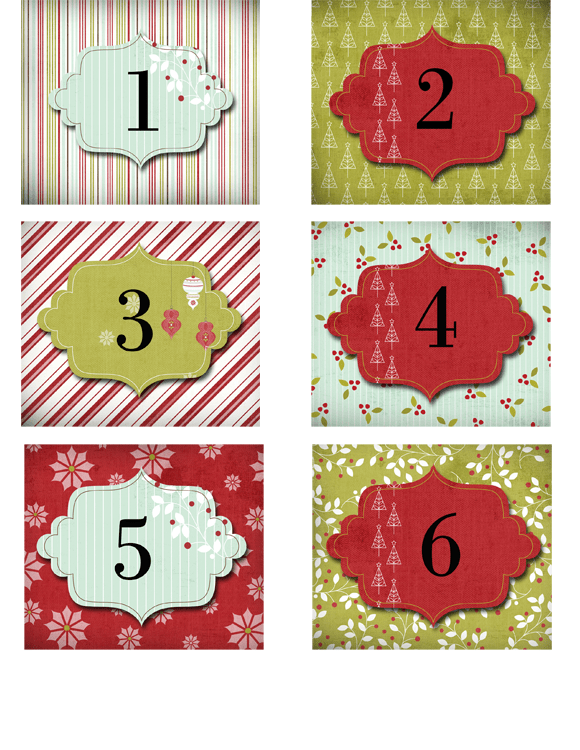 Print them onto sticker paper and cut them to size. Here is how it all came together. 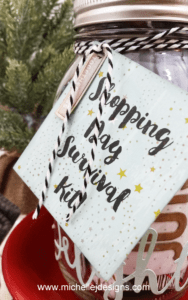 I know exactly who will be the recipient of this but it is a surprise so…..
Don’t forget to check out Michelle’s post at Our Crafty Mom. She is always making something fun! And thanks for stopping by for another Crafty Corner! 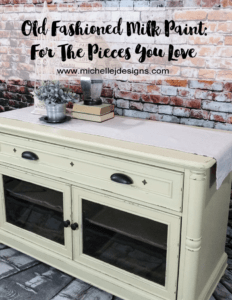 Old Fashioned Milk Paint: For The Pieces You Love! Stop it! This was next to genius. I admire how you did the basket and love love the bottles and labels. You turn out great crafts all the time and I am happy to know you. LOL! Thank you Sue. I always love your comments. They put a smile on my face every time. I am glad you like it. Such a fun gift, Michele. I have a couple of friends that would love this. I think I’d better get busy! Are you going to make me one Nancy? LOL! I am glad you like it. It is fun and easy to make once you find a good caddy or something to fit them in. Have fun! This is the coolest thing ever! I am totally stealing this idea! 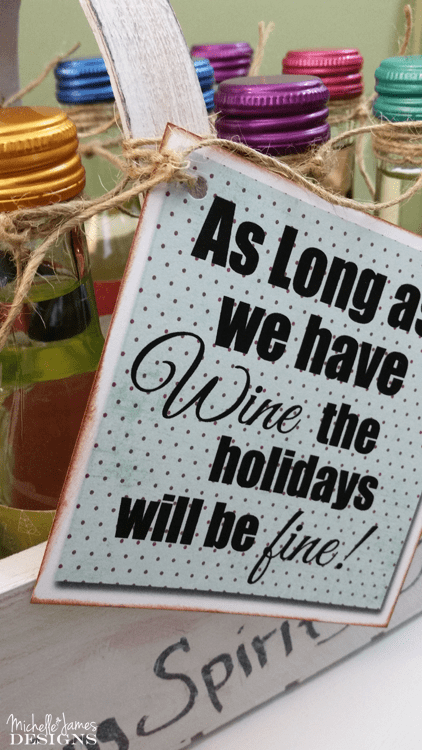 My 25 yo niece is so hard to buy for, but she loves wine so this is perfect! Thanks so much. Steal away my friend! I hope she loves it. Aaaaaaah! I LOVE it! Geez, I sure hope I can help you countdown this year. The basket is adorable now. We knew it would be! Hi Peggy! I do love the new look of the basket except my wording is not the best. I should have tried a little harder at that part. LOL! I am glad you like it. LOL! I do have some chardonnay in there. OH MY GOSH! This is just too cute for words! It’s a great excuse to get tipsy too lol. You always think of the most adorable ideas. I have to crawl inside that head of yours someday lol. 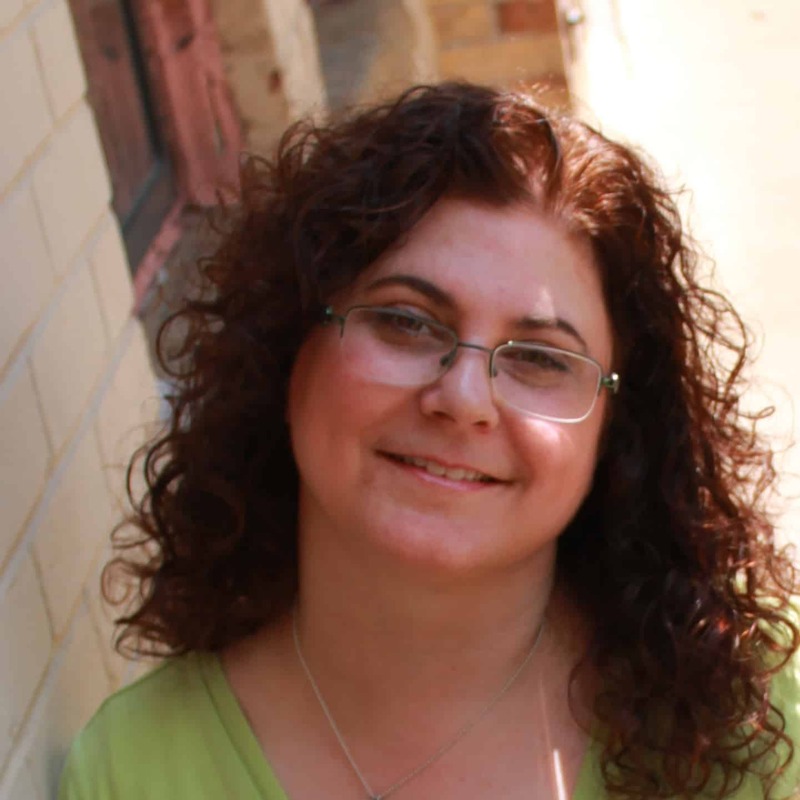 Love this Michelle. 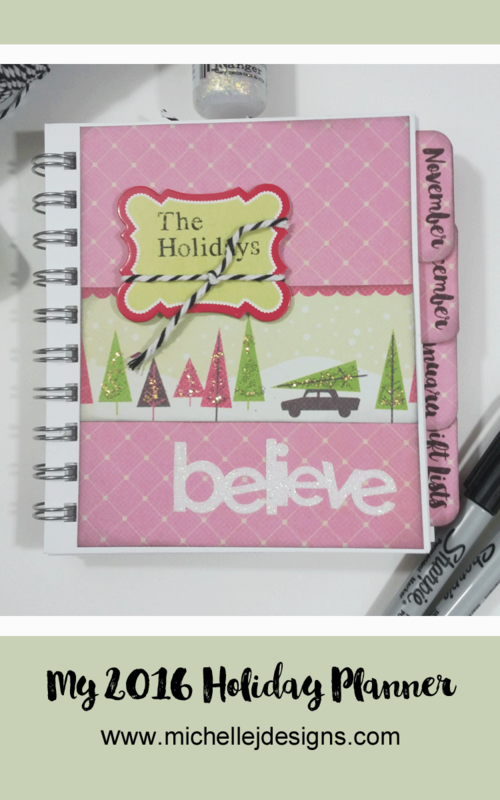 It’s not only adorable but makes the perfect holiday present too! Haha! Who knows what is inside my head. It could be pretty scary in there. LOL! Thanks Carolann. You are great and you made my day.